1 Bedroom Flat For Sale in Caterham for Asking Price £150,000. This upper floor retirement flat is situated to the front of this popular development in close proximity to Caterham Valley and shops. The property benefits from a fitted kitchen, a 22 lounge diner, a bathroom and a 19double bedroom. The property features electric heating and double glazing and enjoys an open outlook to the front. Bourne Court offers resident's facilities including a lounge, laundry, gardens, guest suite and a house manager. With doors to living room, bedroom bathroom and useful storage cupboard. 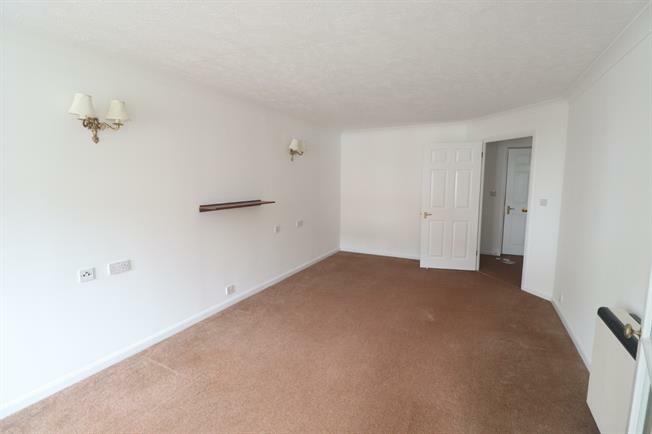 A good sized front aspect room with electric heater. Doors to kitchen. Window to the front. Fitted with a range of base and wall cupboard and drawer units with work surfaces over and space for appliances. Fitted with a three piece suite comprising panel enclosed bath, low level WC and wash hand basin. Within Bourne Court, there are a number of facilities including a house manager, resident's lounge, laundry, guest suite, parking and gardens.